The Iowa Environmental Council, the Des Moines Water Works and 18 central Iowa businesses have joined a coalition urging Tyson Foods to adopt new land-use rules for producers who supply livestock to Tyson slaughtering plants. Tyson is the country’s largest meat company, producing about one out of every five pounds of meat purchased by American consumers. Susan Heathcote, the water program director for the Iowa Environmental Council, said if Tyson required producers to plant oats or other cover crops on harvested corn and soybean fields, nitrate run-off could be reduced by as much as 40 percent. 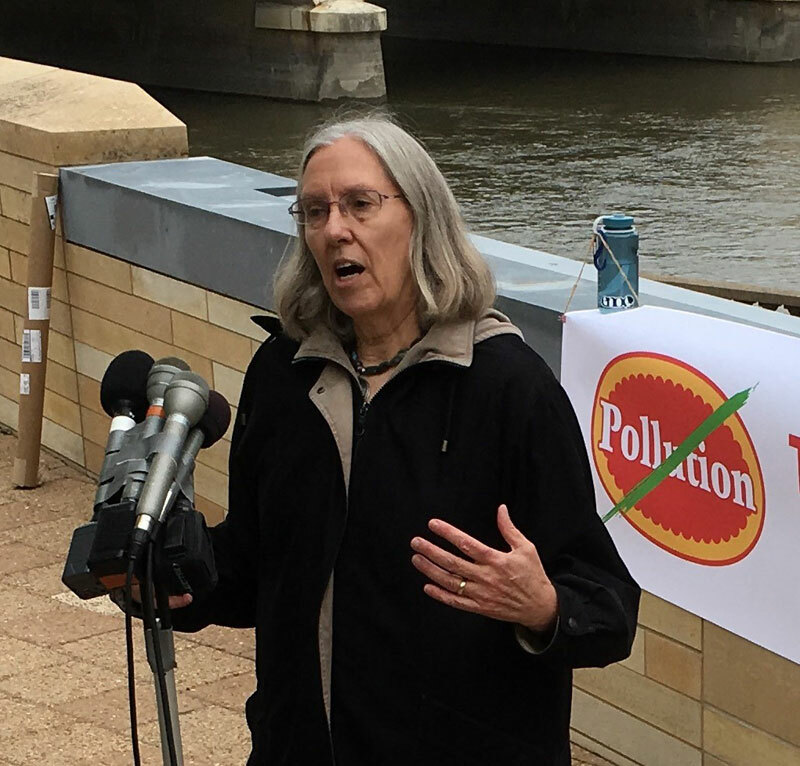 Heathcote spoke this morning during a news conference in Des Moines that was organized by the “Mighty Earth” group. Des Moines Water Works CEO Bill Stowe also spoke at the event, which was held on a Des Moines River bank. Tyson has meat processing facilities in Council Bluffs, Waterloo, Storm Lake, Perry and Columbus Junction.